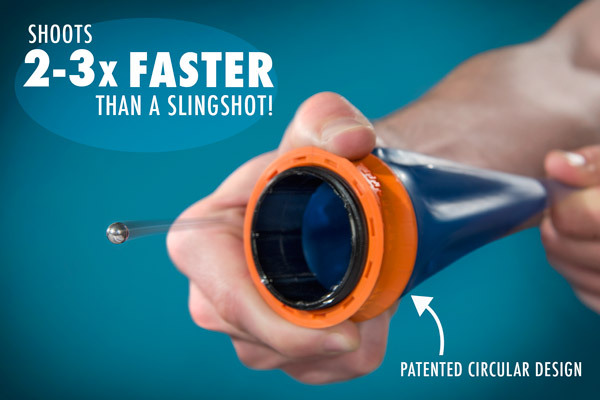 The Pocket PorShot™ is the evolution of the slingshot! 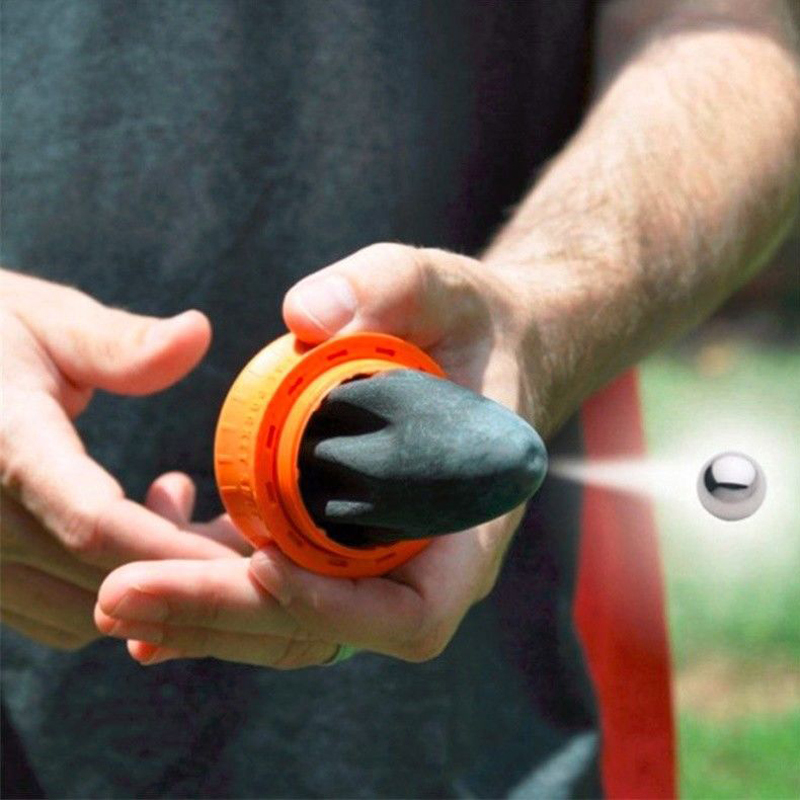 It’s new circular design allows users to load and shoot different projectiles at two to three times the rate of a regular slingshot! Perfect for hunters and recreational use as its tiny size allows you to keep it in your pocket, tackle box, or backpack, this compact slingshot doesn’t compromise when it comes to performance! 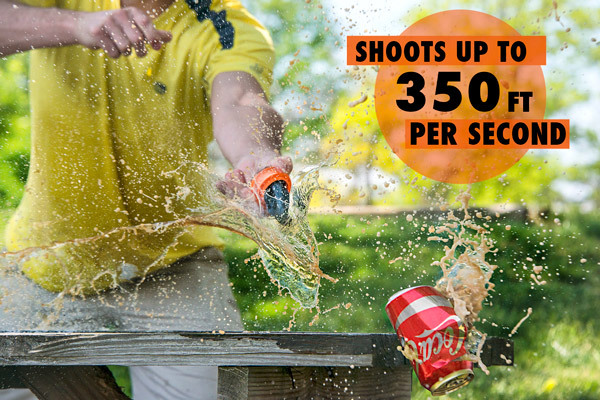 Thanks to its unique design, The Pocket PorShot™ allows rapid-firing of projectiles at up to three times the rate of a traditional slingshot. When you drop ammo into the latex cone, it automatically rolls to the center of the pouch and is immediately ready to fire. Unlike a traditional sling shot, the ammo is pushed forward on all sides by the latex pouch at speeds up to 350 feet per second (238 miles an hour)! That’s fast enough to hunt small game or break your toughest targets. It’s called the **Pocket** ProShot for a good reason. The Pocket PorShot™ is incredibly compact. The latex pouch collapses inside the rigid ring, which is only a little more than an inch tall and about the diameter of an aluminum can. 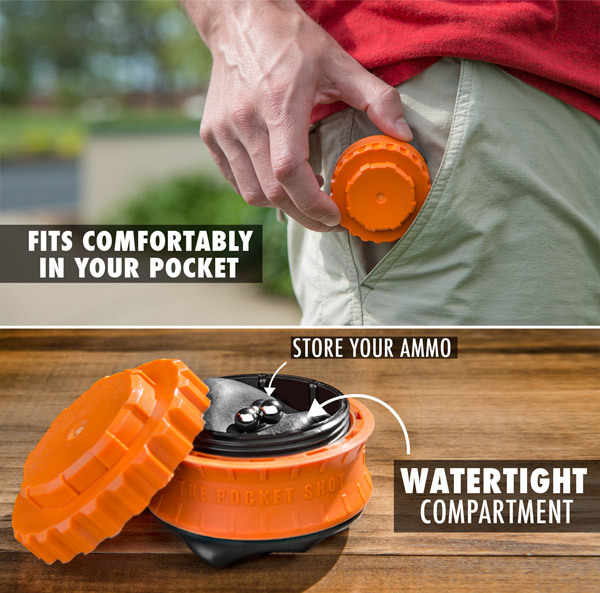 The pouch also doubles as waterproof storage for your ammo when not in use. The Pocket PorShot™ is capable of firing a variety of different types of ammo. Load up projectiles between 1/4” and 5/16” and let fly. 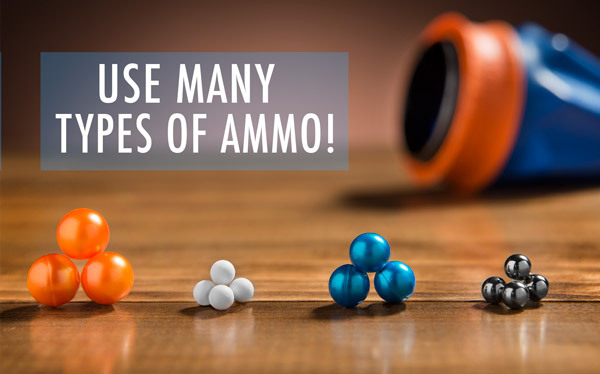 Whether you’re shooting steel slugs, marbles, paintballs, or airsoft, you’ll have a blast using it!